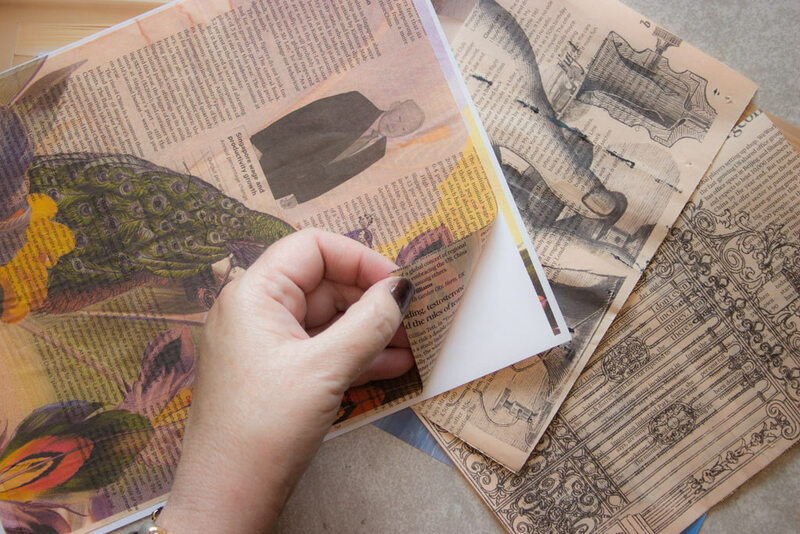 Repurpose Junk Mail for Junk Journals – Let’s Add Images! 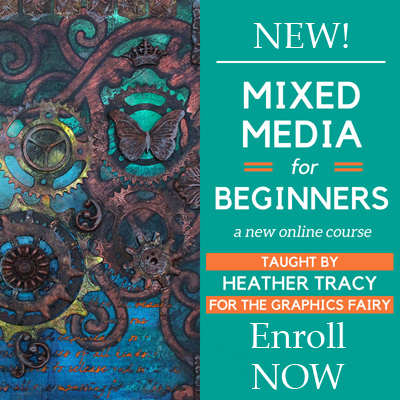 Hello, my delightful Graphics Fairy Friends! It’s Heather from Thicketworks. 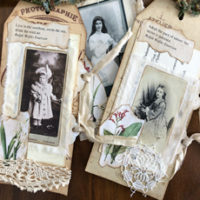 Lot’s of folks are making Junk Journals these days – it’s a fun and green way to repurpose some of the ‘useless’ paper (is there such a thing?) that accumulates in our lives! I’ve been experimenting with running various types of Junk through my inkjet printer, and the results are very cool. 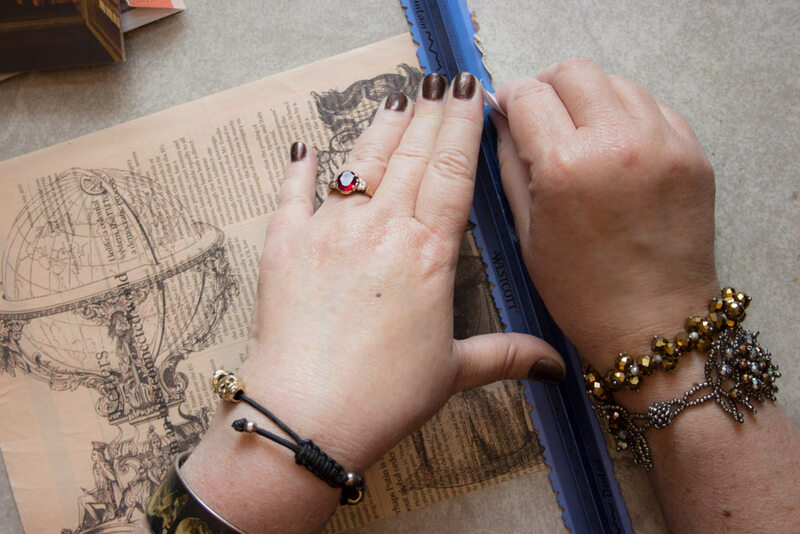 It’s fun, it’s easy, and it will add TONS of bespoke charm to your Junk Journal Creations! 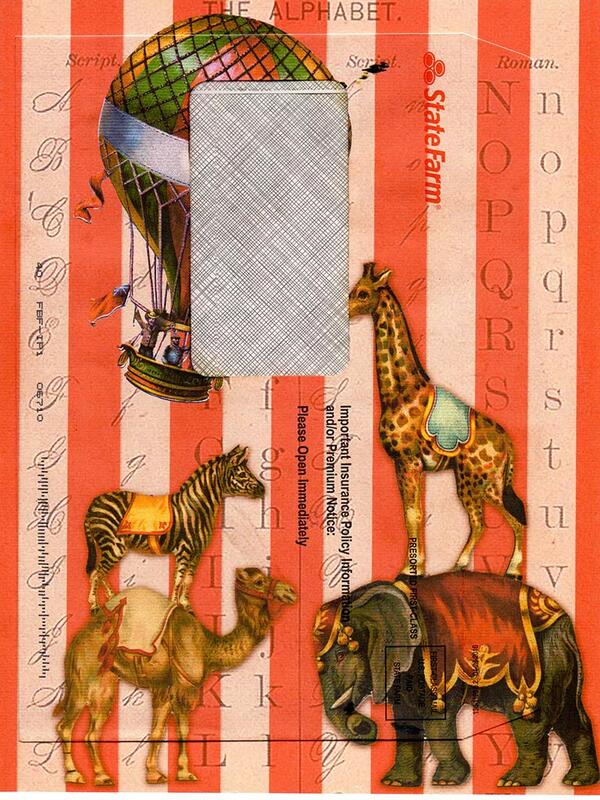 To get started quickly, you are welcome to download this Free Set of 7 Junk Journal Collages! 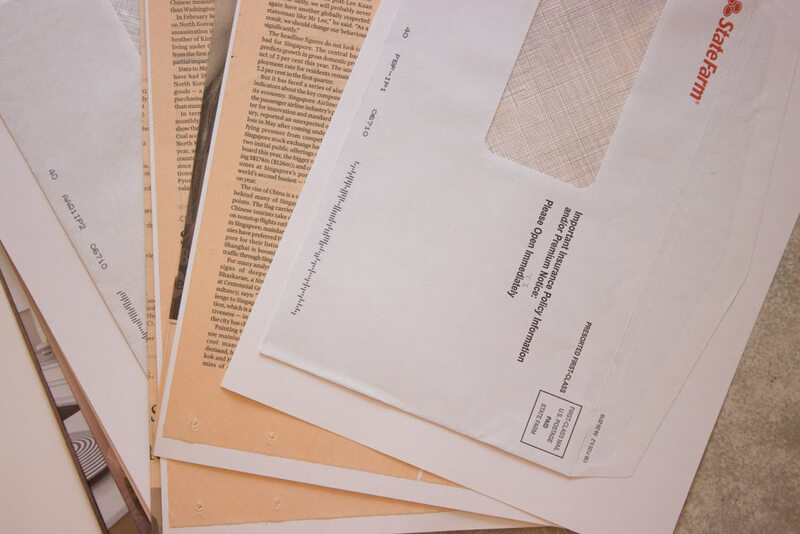 Note: All images were printed on an Inkjet Printer – the heat fusion processing of Laser Prints could cause problems with the adhesives and clear windows of envelopes – don’t risk it! Junk Papers from your stash! Gather a whole mess of ‘useless’ paper ephemera! 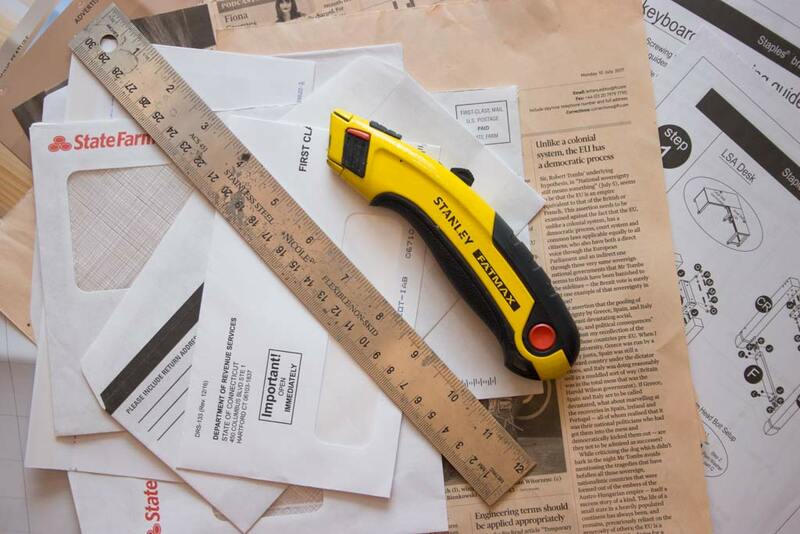 I grabbed newspapers, catalogs, user manuals, and those fun window envelopes from bills. Cut oversized pages down to just under 8 1/2 x 11 inches. Temporarily adhere envelopes, newsprint, etc. 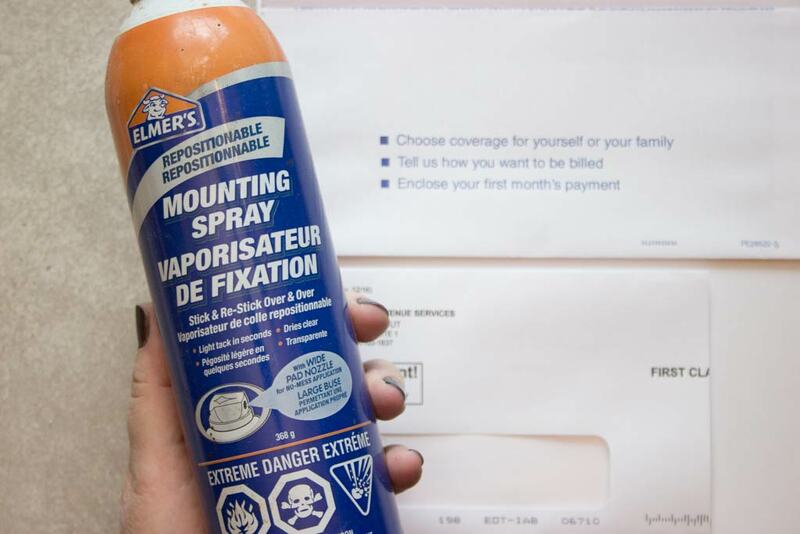 to sheets of cardstock with a good quality Repositionable Spray Mount. Make sure to have proper ventilation – or step outside for this. 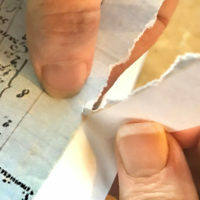 This step makes it super easy to ‘feed’ awkward papers through your printer, and it protects the interior of the machine from ‘overprinted inks’, too! Smooth the surface of the papers, removing any wrinkles. 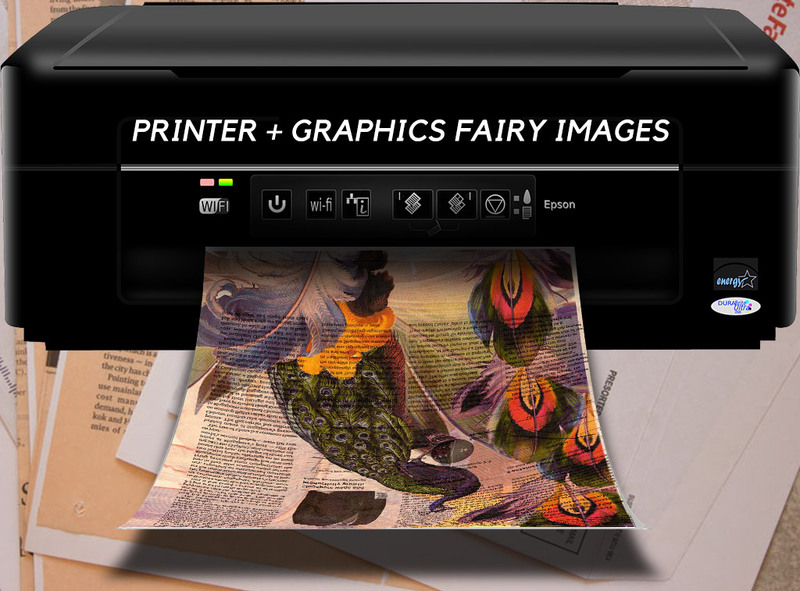 Now, here’s the part where you’ll need to follow the correct procedures for YOUR printer. 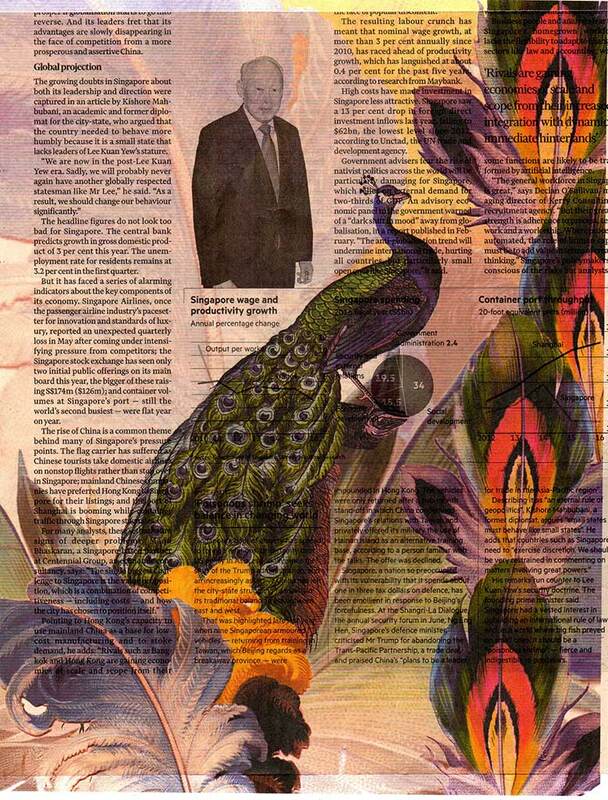 Take a look at the settings, determine how to feed the papers through in the correct orientation, and Print Away! 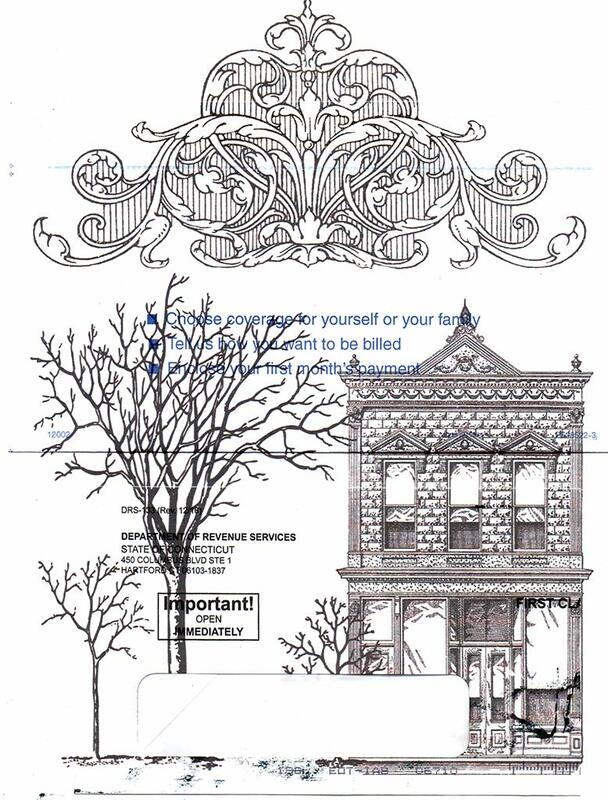 Depending on your printer, you may need to wipe away the ink from the surface of the envelope widows – I did. Allow the prints to dry completely. Peel them off of the cardstock. Add some fun distressed edges! 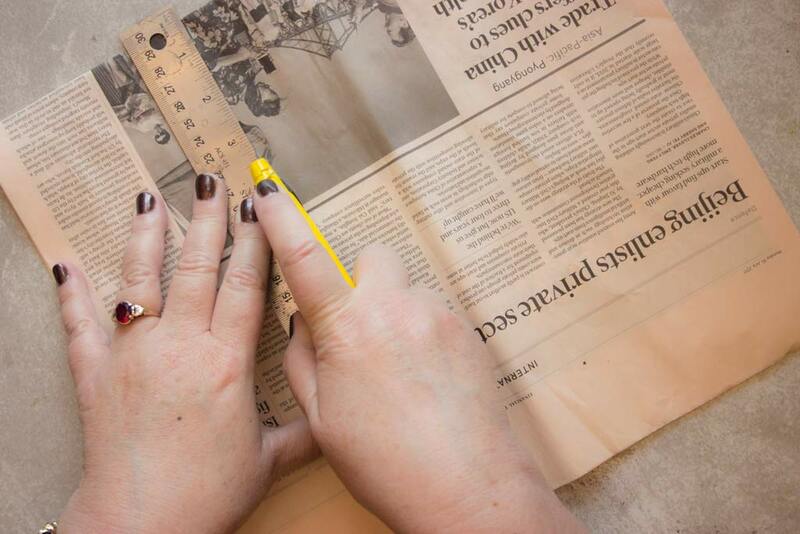 Here, I’m using one of my favorite tools: The Grip & Rip Tearing Ruler. 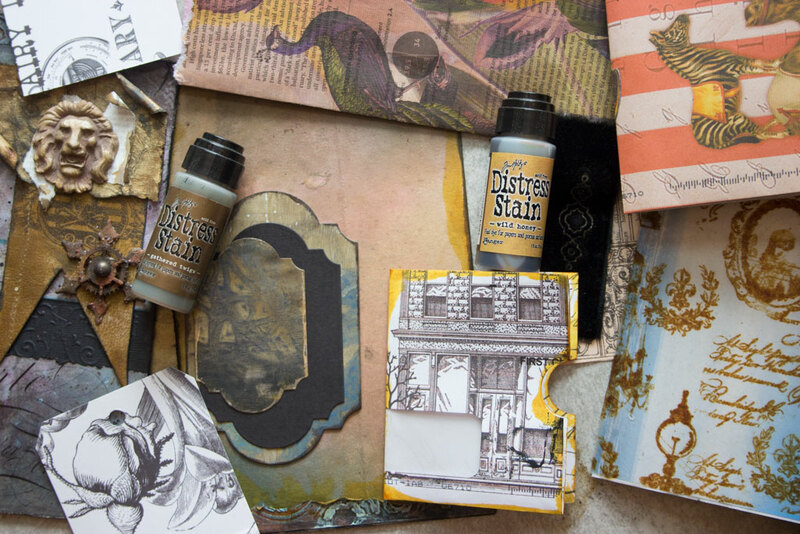 Once you’ve printed your papers, it’s time to start building your Junk Journal! This is a very satisfying process, and the variety of methods is staggering! 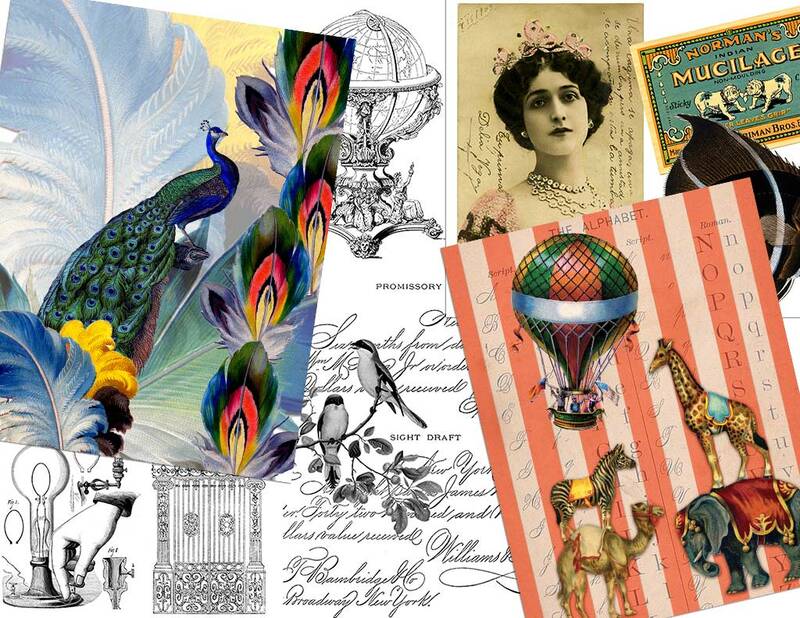 The Circus Envelope becomes a delightful pocket, nestled next to an Omni Gel Image Transfer. The sky’s the limit with this technique! 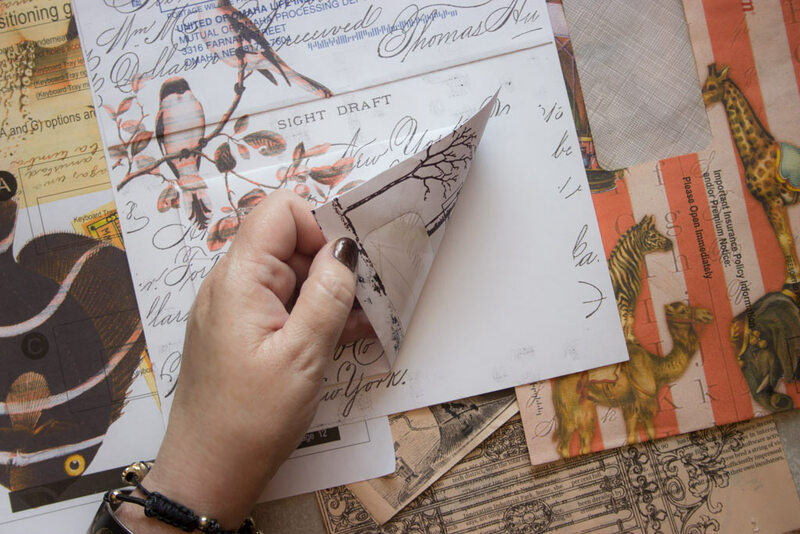 Transform almost any ‘useless’ piece of paper into beautiful, personalized ephemera. Thank you for visiting The Graphics Fairy today! It’s been such fun to share this technique with you. « Image Transfers using Omni Gel – Tips & Tricks – Updated with Video! 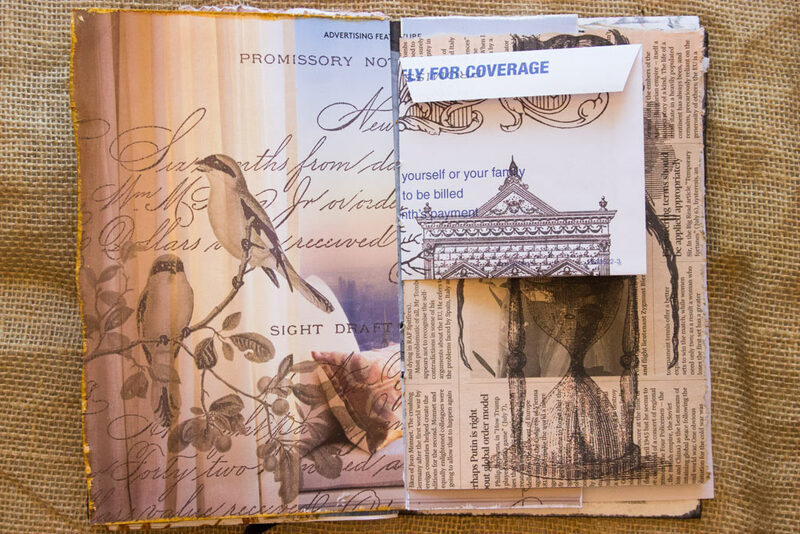 LOVE, LOVE, LOVE this junk mail junk journal idea! 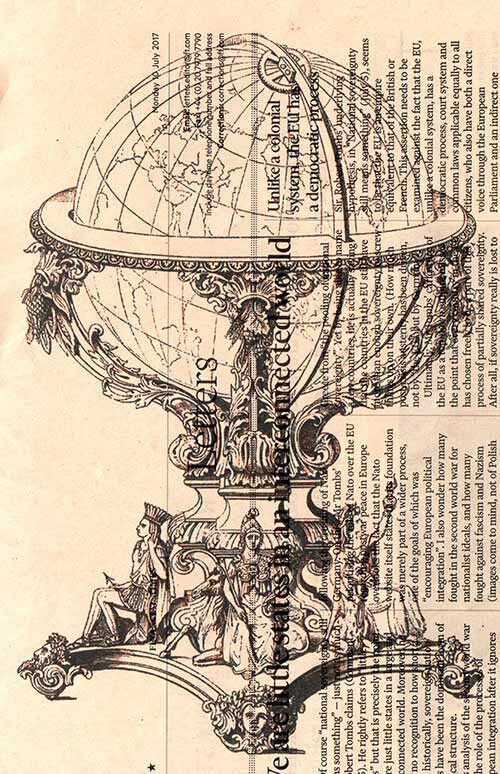 I might try this with rubber stamping and inks. I’ll be looking at my junk mail in a whole new way now! These are really cool, thanks for the inspiration! Dear Heather, im smitten, but sitting here in Copenhagen, it has to wait, till another day. Only hoping my printer will “eat” the double layers. ? thankyou again for filling my life with all kind of exiting experiences. You are a jewel in the world of teaching. Hugs from Dorthe ? ? ? 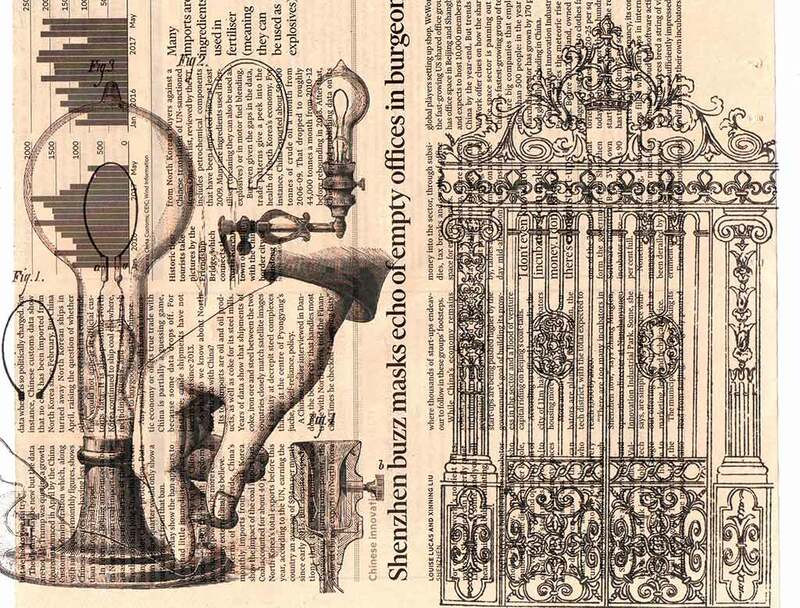 Wow, thanks for all these ideas, links, and fantastic images for junk journals. You are welcome Abby. I would love to see some of your journals. Wow, what an imagination you have. I have an older type printer, not sure if this would work, but I could surely try. It’s a lovely idea. Thank you! Great junk journal project this week. Thank you! Thanks Heather, this looks like so much fun. I will save this and complete it later. 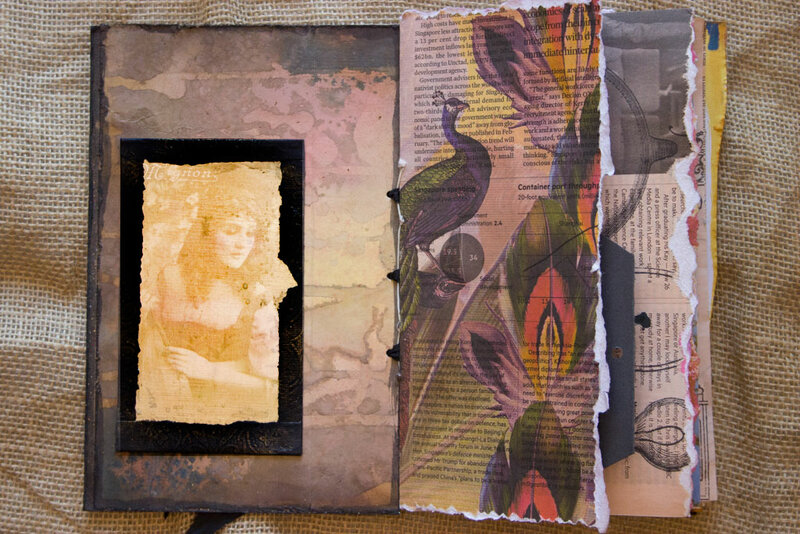 No time right now, I am busy learning from you how to make a journal in Mixed Media for Beginners. Love what I am learning. 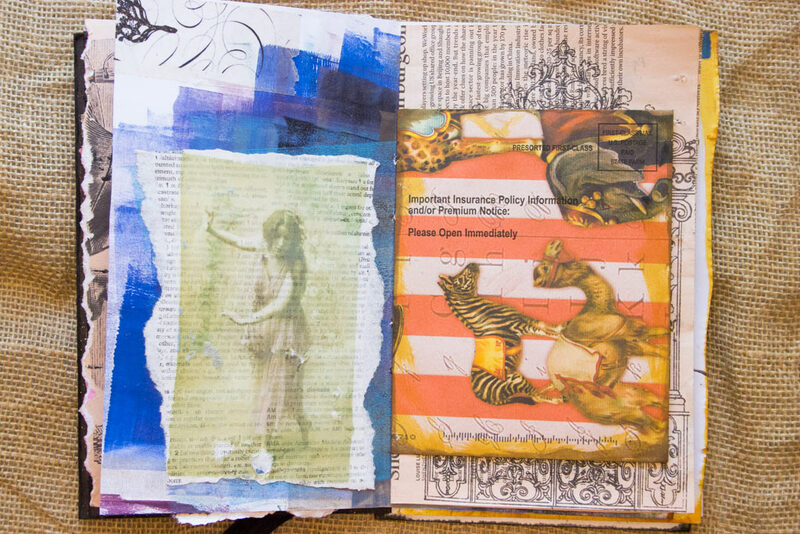 I have drooled over fancy junk journals and am embarrassingly admitting that I have even bought the images/collage sheets to make one but I have had brain freeze. Couldn’t really figure out how to use pretty, printed, clean images to achieve that real “junk” (or junque as some say – fancier when it has a French spelling?) feel to it. Once again, you have demystified this all with drop dead peacock and steam punk images! Whenever you share something, I feel totally confident that it will work and you have no idea what that means to me! Thank you Heather from the bottom of my heart for all you offer so kindly and generously. Your imagination knows no bounds, thank God we have you in our midst, to push our creativity daily! I will be sure to let Heather know Rupa. OK, I meant “drop dead gorgeous”, not drop dead peacocks lol. We don’t want that for sure. PS: Where is that undo button or edit button when we need it? Thank you LadyT. I will let Heather know. OK…third time is the charm hopefully for my comments to show up? 🙂 I LOVE LOVE LOVE this junk (or junque as all things French seems to sound beautiful?) journal. So colorful! I have eyed and drooled over many junk journals and even bought some sheets from a junk journal junkie’s site 🙂 Unfortunately they were too clean and crisp for me to figure out how to make them look more “junky”. Enter Heather….as usual this genius has totally simplified the process and used actualy junk mail which I have plenty of! 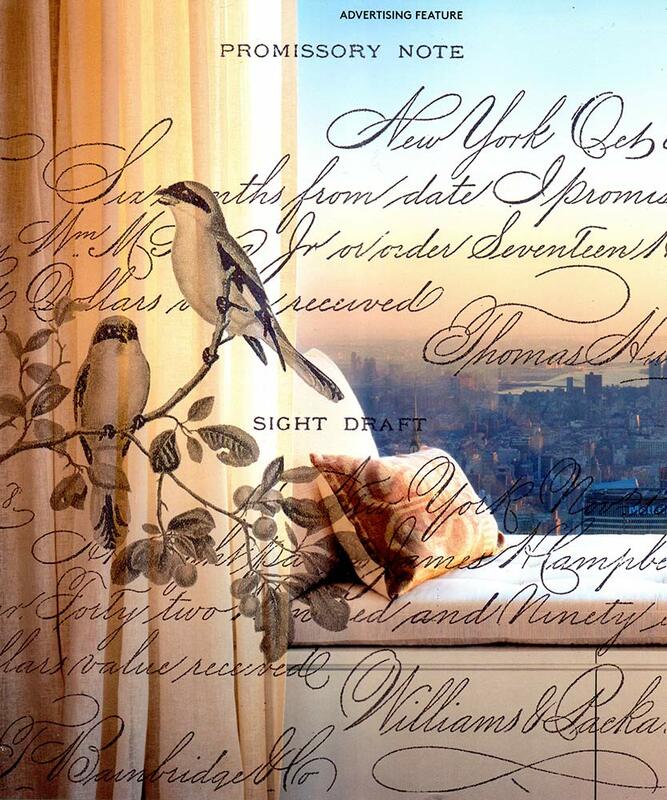 Who would’ve thought of such gorgeous images to be printed on those envelopes by simply adhering them to a card stock….Love the colorful images to boot. Thank you Heather for inspiring me every single day and being among us to make our lives so much more interesting! Have read about your classes several times but didn’t join in, thinking I couldn’t do it. Seeing this junk journal decided it was time for me to actually at least take a stab at it. Will be 78 next month and want to know I can do something out of my comfort zone, stick with it , complete it. Hopefully won’t be my last time. Great tutorial , very helpful and thanks for junk sheets. You sure do inspire me. Just found this, love it! Can you tell me about the cover? It looks thicker than just card stock. How did you make the cover? Thanks so much for all the great tutorials! 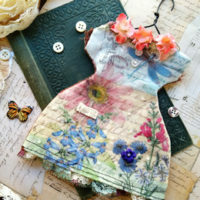 Thanks Rochelle, this beautiful project was a guest post by the very talented Heather over at Thicketworks, you can find her here, https://thicketworks.com/ I am sure she would be happy to tell you all about how she created it. Your work is always an inspiration. I know this was an old post, so I hope you see this. 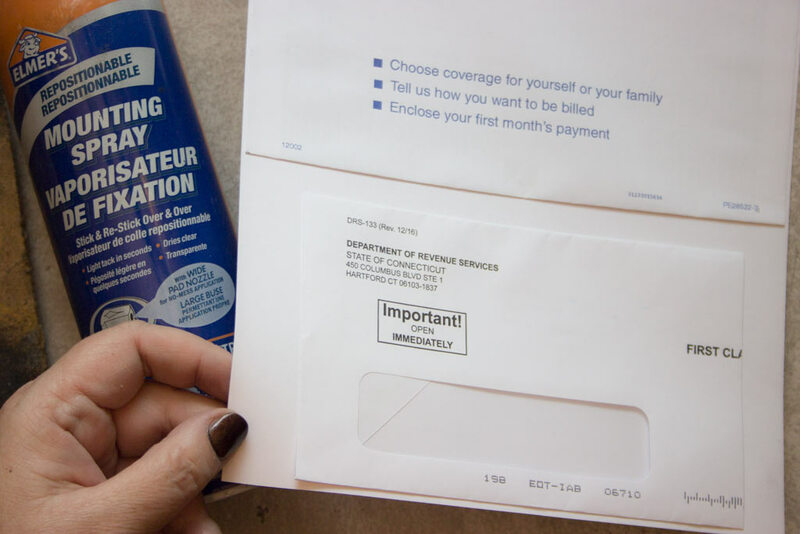 I am wondering if you have had any experience using the current day junk mail that is printed on the soft velvety touch card stock. I suppose I could just give it a try, but thought you might have already done so.